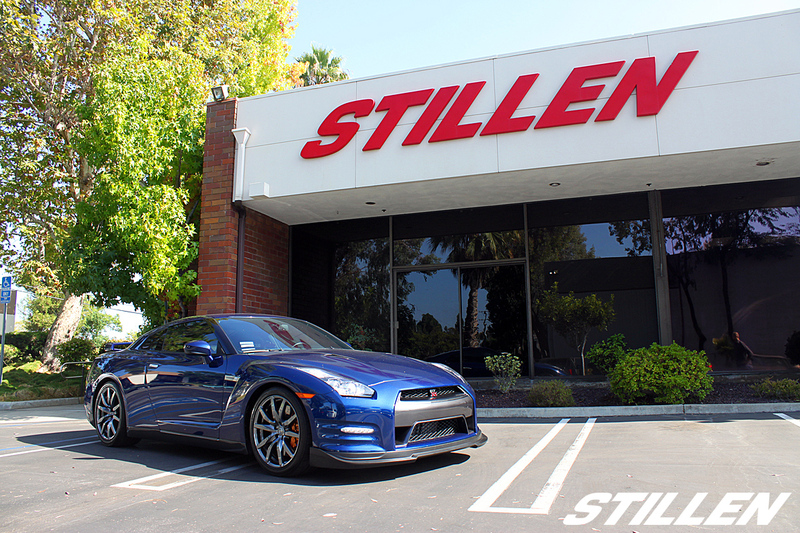 The STILLEN R&D team continues to develop industry-leading performance products with long-standing technical partner AP Racing. Their hard work has resulted in the release of the next generation in Carbon-Ceramic Matrix (CCM-X) brakes for the Nissan GTR. This kit utilizes a new High Thermal Capacity (HTC) process which helps pull the heat from the CCM disc surface deeper into the 3D core to allow the discs to operate cooler through more efficient use of internal venting and air flow. We have also homologated a new Pagid RSX1 pad material designed specifically for our new CCM-X discs for easier bedding and higher performance, these pads are ideal for use on the street and for track days. The CCM-X disc assembly hardware has now been updated to include anti-rattle springs that still allow the full benefit of a floating disc, yet eliminates the “noise” associated with this style of disc. During extreme performance testing at Auto Club Raceway in Fontana, CA, performing back-to-back repetitive testing runs pushing the limits of brake temperatures, the new combination of HTC CCM-X discs and Pagid RSX1 pad material reduced disc temperatures from an average of 1488F to 1346F, that’s 142 degrees cooler than the previous generation CCM. These real-world tests confirmed the results of our brake dyno testing at AP Racings lab in Coventry, England. Once found only on the world’s most expensive supercars, Carbon-Ceramic Matrix (CCM) brakes have been developed for the first specifically-tuned aftermarket application – the Nissan R35 GT-R. These 400mm disc assemblies are larger than the standard OE iron discs, yet reduce weight by nearly half. This is rotating and unsprung weight, leading to improvements in all performance categories: acceleration, handling and braking. After three decades of using carbon-carbon brakes on racing vehicles (even longer on fighter jets), AP Racing CCM discs are the next technological platform. Advancements in materials, process technologies and nanoparticle technology make it possible to use a special carbon fiber precursor along with new, patented process techniques. The unidirectional precursor is needled into a 3-Dimensional, continuous carbon fiber preform. This differs from lower cost technologies that use loose, chopped strand fibers and thin woven face plies bonded on as a friction surface. A true 3D matrix is stronger, more robust and provides longer life than the more brittle alternative. As a comparison, think quality hardwood versus particle board or MDF with a veneer. Converting the 3D preform to carbon-carbon is done under high heat and pressure via methane cracking during a special carbon vapor infiltration (CVI) process. After initial machine work, a final conversion process results in a full matrix carbon-silicon carbide (CSiC). We call it Carbon-Ceramic Matrix, or CCM for short. The discs are then sent through the final machining, grinding, and balancing. Of course, the CCM discs are now so hard that only special diamond tooling can be used! APCC1100A for 2012-2013 US Market cars.